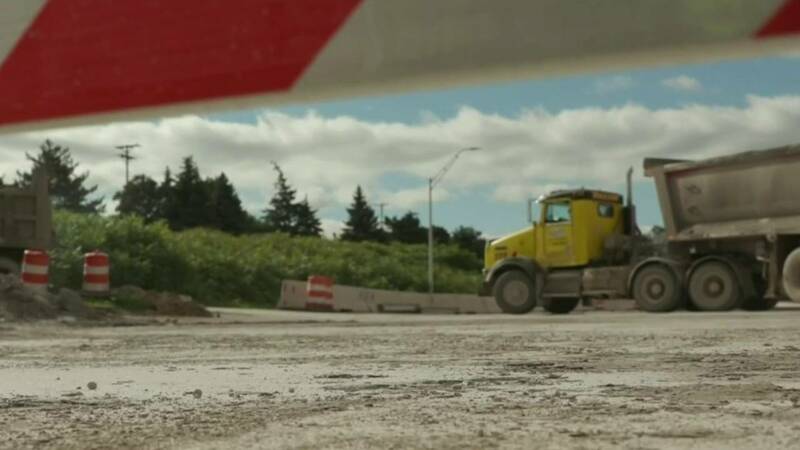 This weekend will be the first of three closures of the eastbound I-696 stretch between I-275 and US-24, the Michigan Department of Transportation (MDOT) announced. The closure is to complete pavement repairs on this stretch of interstate. This will involve closing the freeway and all entrance and exit ramps. The weekend work is also weather dependent, MDOT said. There will be weeknight lane closures on eastbound and westbound I-696 between I-275 and US-24, leaving one lane open in each direction, to complete concrete pavement repairs. In Macomb County, beginning 4 a.m. Saturday crews will set up a barrier wall blocking the eastbound I-696 ramp to M-97 (Groesbeck Highway) for about three weeks, MDOT said. This will limit the eastbound exit ramps between I-75 and I-94 to only Dequindre Road and Mound Road. As a reminder, the Mound Road exit also allows access to 11 Mile Road and M-53 (Van Dyke Avenue) by way of a temporary ramp. The Macomb County Department of Roads is currently working on Mound Road, which is affecting I-696 traffic exiting at Mound Road, according to MDOT.